This year on the Great British Bake Off the contestants had to make Biscuit Chandeliers. Not wanting to miss out on the fun, I decided I would make one too. I thought I could make it a mixture of vegan and non vegan cookies for my varying dieted friends. Here are the Chocolate and Vanilla Swirl cookies I made. I also took inspiration and techniques from She Who Bakes, who made swirl cookies for Valentines Day and always wanted to give it a try. 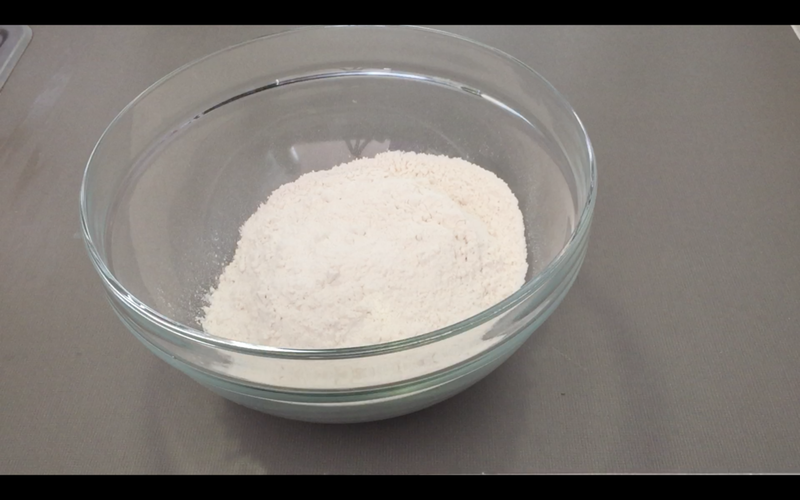 Into a bowl add your plain flour, caster sugar, corn flour, icing sugar and mix together. Add 1-2 tsp vanilla extract. Add in the vegan butter a little at a time, mixing together to form a loose dough. Split your mix in half. Into one half, add the cocoa powder. Then gradually add your vegetable shortening until it is fully combined. You may not need all the shortening, so once the dough holds together, stop putting it in, or it will be too greasy. Shape into a rough rectangle, cover in cling film and place in the fridge for 20-30 minutes. Into your other bowl, add 1-2 tsp vanilla extract and mix in. 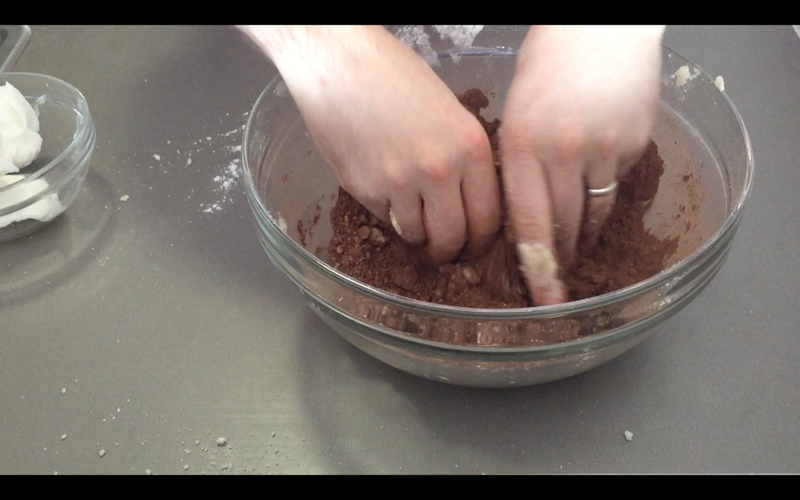 Then add in any remaining shortening you have or 1-2 tbsp until this combines together similar to the chocolate dough. Shape into a rough rectangle, cover in cling film and place in the fridge for 20-30 minutes. 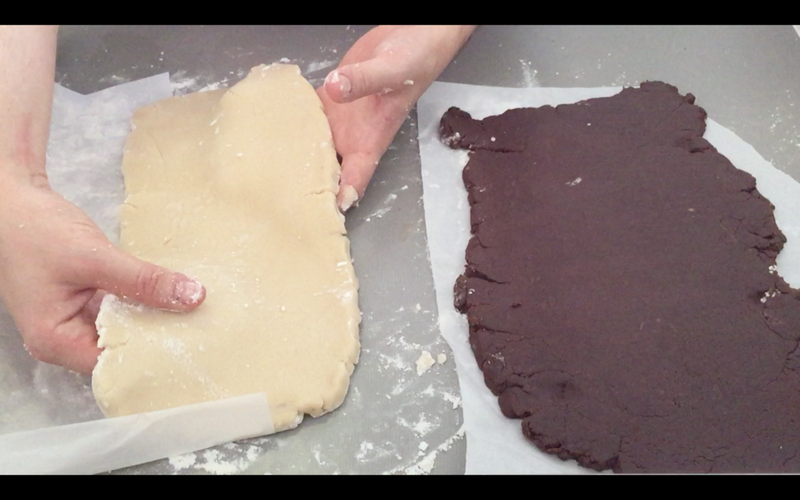 Once both doughs have chilled, take out and roll the chocolate dough flat to a rectangle (around 20cm wide to 30cm long) as long as its evenly 3mm thick all over thats all that matters. You will want to do this on some parchment paper instead of a floured surface. 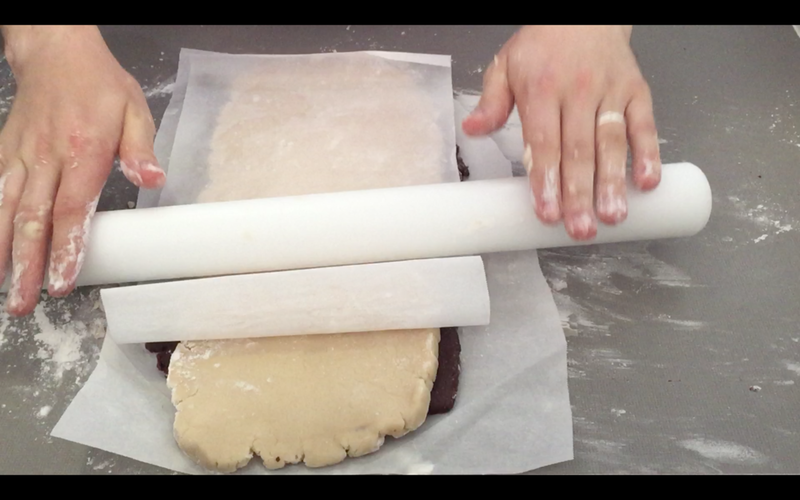 You can also use parchment paper on top to save flour and stop the rolling pin sticking, but this is up to you. 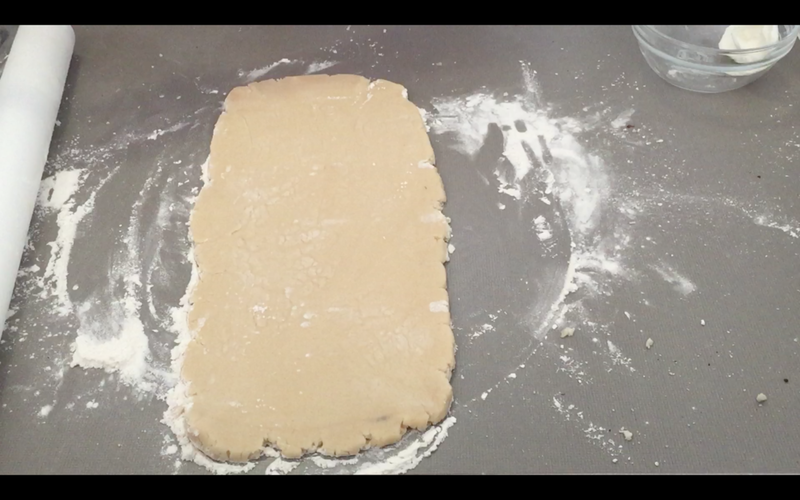 Now take your vanilla dough and roll this flat to the same size and 3mm thick (again, if it is slightly larger, or smaller its okay, you will be cropping it down). Do this on parchment paper, like the chocolate. Now take your vanilla rectangle, and flip it on top of the chocolate. 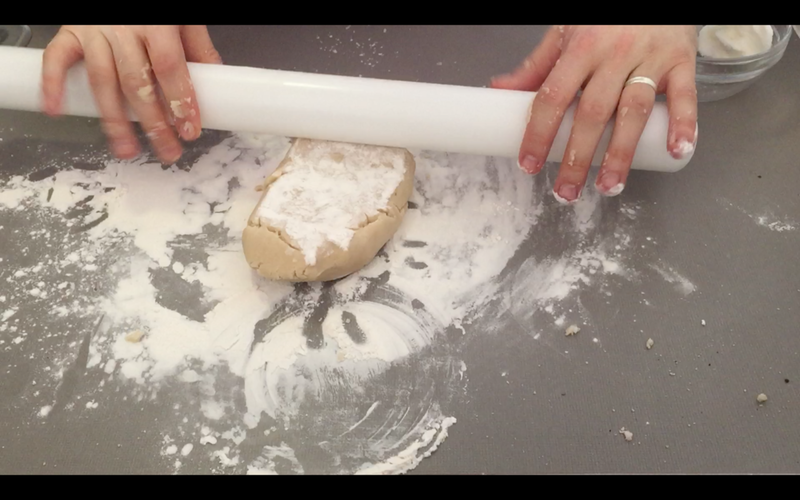 Take a rolling pin and lightly roll from bottom to top to make sure there are no air bubbles between them. Don’t press too hard or you will ruin your lovely evenly rolled dough. This next part will be tricky, so go slowly, its not a race. 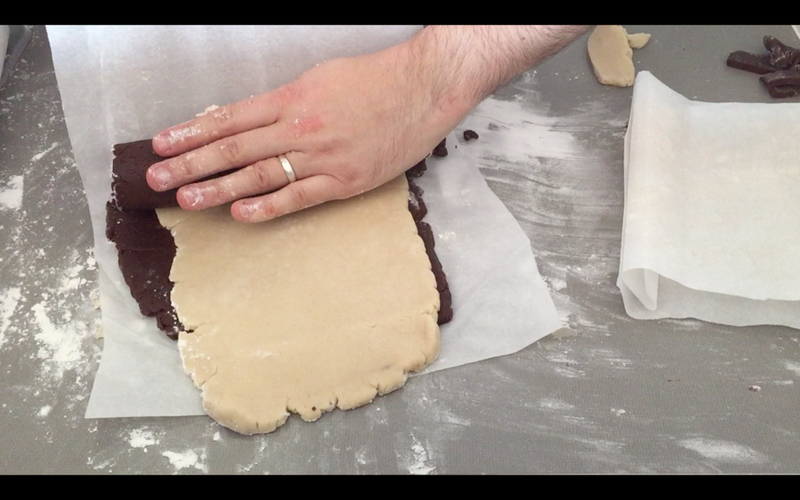 Carefully lift up the parchment on the small end of your dough rectangle, fold over around 1-2 cm of the dough so the chocolate is now on top. 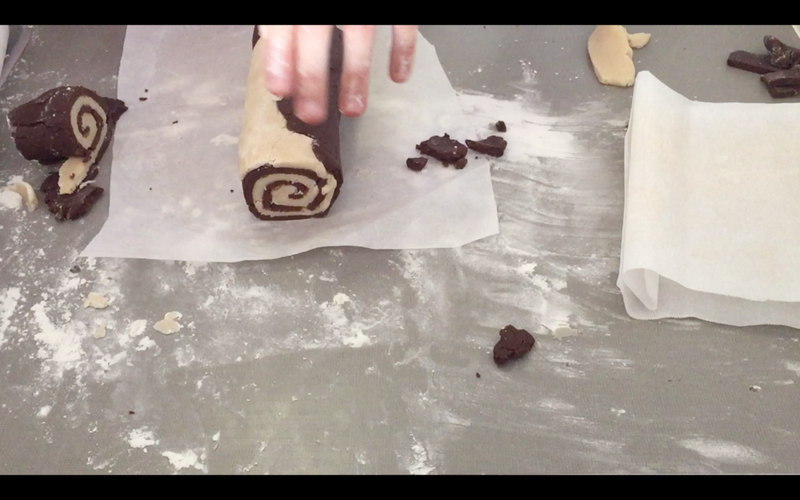 This also starts off your “Swiss roll” style roll. Next, carefully pull the parchment at 90º to the counter top, using your hand to roll the dough over itself to form a spiral. Keep going (slowly) until you have rolled the dough up. 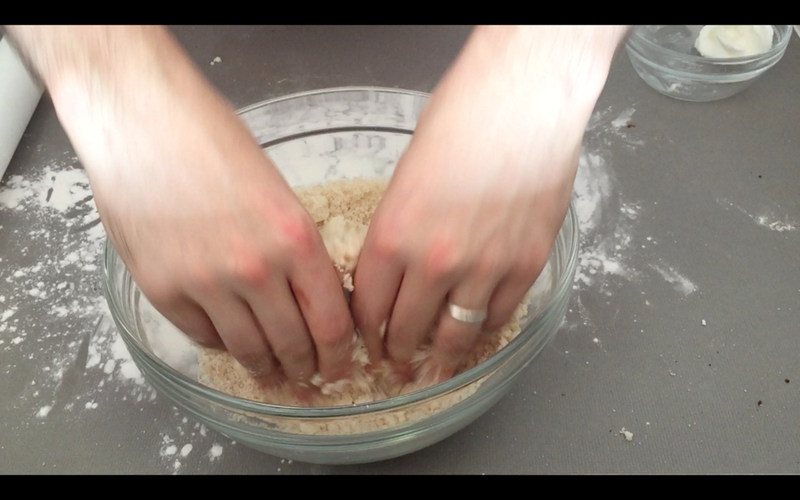 If it begins to break when you are rolling, you can squeeze together the splits, as the dough should be malleable enough. Once you have rolled it together, wrap in cling film and chill for 30 mins-1 hour. Now this has cooled, take out of the fridge and chop off each end to show the even spiral design. Now cut each cookie by slicing 1cm slices down the log. Place your cookies onto a lined baking tray. Place this into the fridge again for 20-30 minutes. Switch your oven on to 175ºC/350ºF/Gas 4 and once this has come to temperature, put your cookies in the oven for 10-20 minutes. Check them at the 15 minute mark, by gently lifting one up. If the bottom has begun to brown, they are ready. Take them out, leave them to cool. If you have made these for a biscuit chandelier, while they are cooling, use a knife or a 5mm piping nozzle to cut out a hole for stringing.